It's that time of the year again folks, when we can say goodbye to sweat drenched foreheads and say hello to those pants in your closet that have been so neglected. September and October are my favorite months of the year, bringing cooler weather, football and Oktoberfest events that make everyone a German beer drinker. While North Texas has a ton of beer events on a weekly basis, I've compiled a list that is a little beyond your average pint night or beer tour. 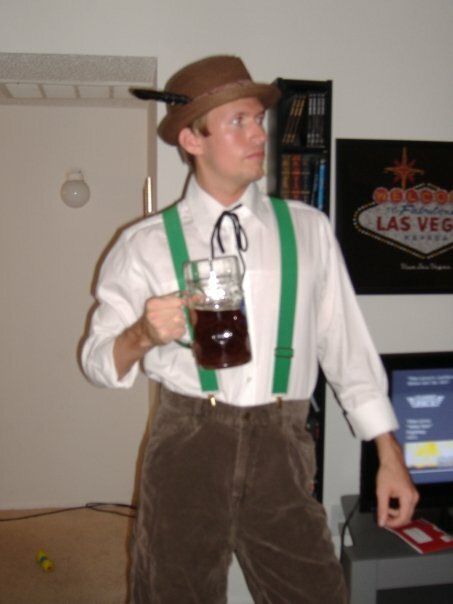 Find your inner German or just wear some lederhosen and enjoy. Prost! 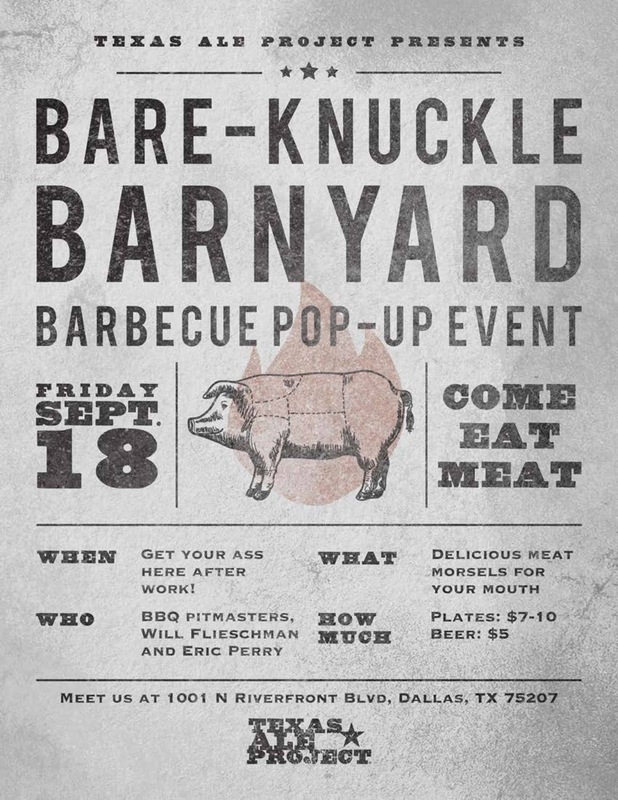 Swing by the brewery after work to taste some delicious barbeque from pitmasters Will Flieschman and Eric Perry! Better get here quick to make sure you don't miss out! Plates range from $7-$10, beers are $5. This is easily the best beer festival put on in Texas, organized by the brewers and celebrated with only Texas craft beer. An Oktoberfest style celebration with DFW's two German inspired breweries, Rahr & Sons Brewing Company and Franconia Brewing Company.Live music, special tappings, bier stein giveaways, and german inspired food specials all day! 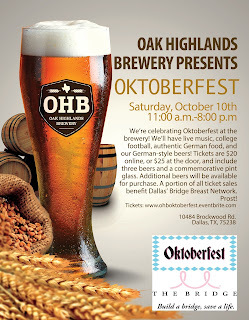 Not only is it Oktoberfest in Mckinney on September 26, it's also my 31st birthday celebration. If you're free, come on up to Mckinney and drink some German beer with us. We will be going to Franconia, Hutchin's BBQ, the downtown Mckinney Oktoberfest celebration and TUPPS Brewery after that. Friday, September 25, 4 to 11 p.m.
Saturday, September 26, 10 a.m. to 11 p.m.
Sunday, September 27, Noon to 5 p.m. The “beer garden” covers a total of 14 blocks throughout McKinney's Historic Downtown square so you can enjoy all downtown McKinney has to offer with a German beer in one hand and a bratwurst in the other. McKinney Main Street, supporting sponsors and the shops in Historic Downtown McKinney will host nonstop activities in the heart of our great city. Zero years, yep we don't mess around here! Any excuse to party and have a good time with our friends is alright by us! Doors open @ 1pm and we'll be releasing our specialty beer though out the day and into the night. With each ticket purchase, you get pretty sweet ltd. edition commemorative Noble Rey Zero Anni. glass and a sample card good for 8 five ounce pours (don't worry you can get more beer if you want). We'll also have Red Beard BBQ on site- grilling up some of their award winning BBQ! And we'll have some fantastic live music by Shotgun Friday, Quentin Moore, and Taylor Davis, brewery drinking games, and our arcade! Want in early? 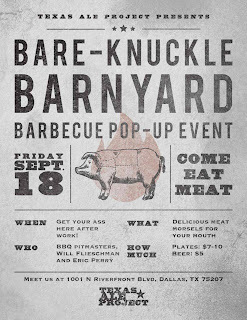 Checkout our VIP tickets, you'll get in a whole hour before your friends, you get lunch provided by Red Beard BBQ, you get the sweet glassware and the sample card, but wait there's more! You get one of our amazing commemorative Zero Anni. Hats too!!! Tickets are limited, and this event will likely sell out, so you'll want to get yours ASAP! Be sure to go get a spot at www.texasbeercamp.com They are available now. We WANT you to invite all your beer buddies to this event! Dont be rude and leave them out of all the fun! Beer camp will be held on private property just outside of Princeton, TX from Sat. Oct 3&4 2015. At Beer Camp almost everything that happens is created entirely by its citizens, who are active participants in the event. We are committed to a radically participatory ethic. We believe that everyone benefits, whether in the individual or in camp, through the medium of personal participation. Participants are encouraged to find a way to help make Beer Camp come alive through whatever medium you come up with. Everyone is invited to work. Everyone is invited to play. Remember Folks, this is just the event page. Be sure to head over to https://www.facebook.com/TexasBeerCamp for all news and awesome posts! Oktoberfest in October?? We know, we know- BUT we've had so much going on in September, that we thought the first weekend in October would be perfect! Doors open @ 2pm and we'll be releasing our specialty small batch Oktoberfest Lager. With each ticket purchase, you'll also receive a super awesome, ltd. edition commemorative Community Beer stein. We'll have Rusted Truck Ranch on site- grilling up some brats and other delicious Bavarian-esque foods! And, as always- we'll have some fantastic live music, brewery drinking games, and local artwork on display! We're celebrating Oktoberfest at the brewery! We'll have live music, college football, authentic German food and our German-style beers! Tickets are $20 online or $25 at the door and include three beers and a commemorative pint glass. Additional beers will be available for purchase. A portion of all ticket sales benefit Dallas' Bridge Breast Network. Prost! Went here for a great all-you-can-eat buffet and they held nothing back. The food, service and mostly the staff at Seattle venues were truly amazing. I was starving and am one of those voracious "sampling" type eaters who has to try everything in a buffet, and I couldn't make it! Ah! Texas, BBQ & Beer. These three words always sounds music to my ears. I still have their taste in my taste buds. I got a chance to have their stakes when I was there in last summer vacations. It's highly recommended guys ! Thanks for the knowledge imparted. Good to know these things.